Ms. Alice Anatala joined the Coding department at PrimeCare in 2015, and brings many years of professional experience in a variety of positions to PrimeCare. She has experience as a Clinical Assistant, Authorization/Referral Coordinator, and OSHA officer. Ms. Anatala entered the work force as a dental assistant, in both Pediatric and Adult facilities, after graduating-CDA from Suffolk County Community College and SUNY Stony Brook University Dental Clinic. 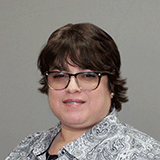 Ms. Anatala has completed the AAPC Medical Coding course, and holds several certifications, including Basic X-ray machine operator, and HIV/AIDS Blood-Bourne Pathogen Training. Ms. Anatala is working with our West Coast offices, and working hard to bring all our physicians to the best HEDIS and MRA scores.